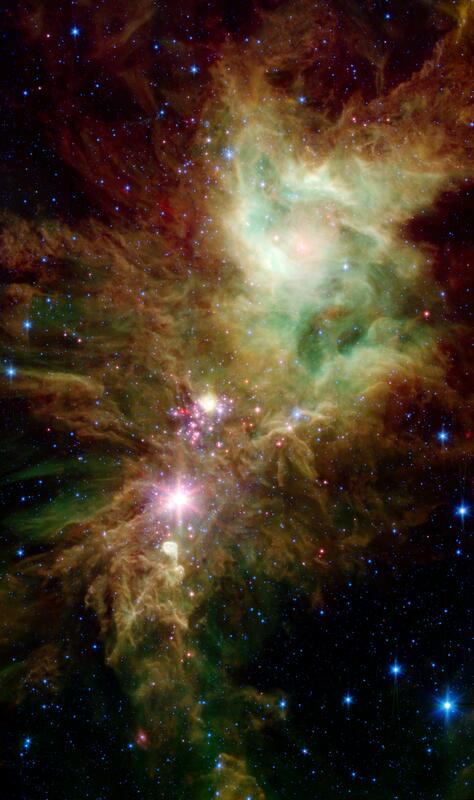 Newborn stars, hidden behind thick dust, are revealed in this image of a section of the Christmas Tree cluster from NASA's Spitzer Space Telescope, created in joint effort between Spitzer's infrared array camera and multiband imaging photometer instruments. 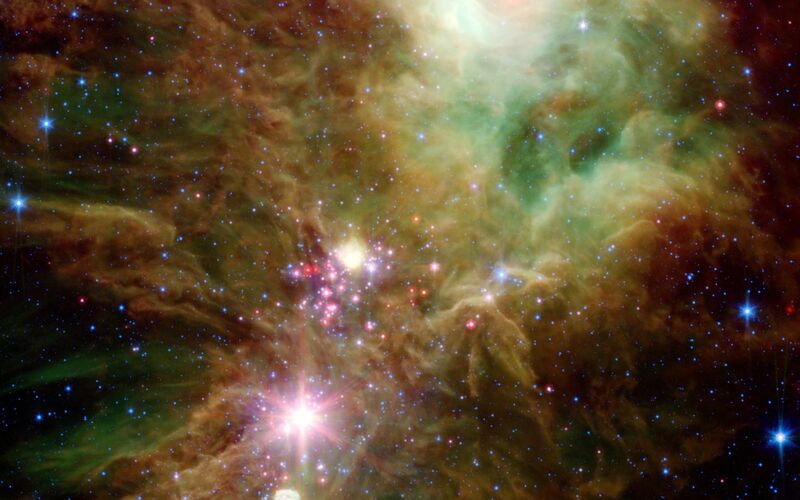 The newly revealed infant stars appear as pink and red specks toward the center of the combined image (fig. 1). The stars appear to have formed in regularly spaced intervals along linear structures in a configuration that resembles the spokes of a wheel or the pattern of a snowflake. 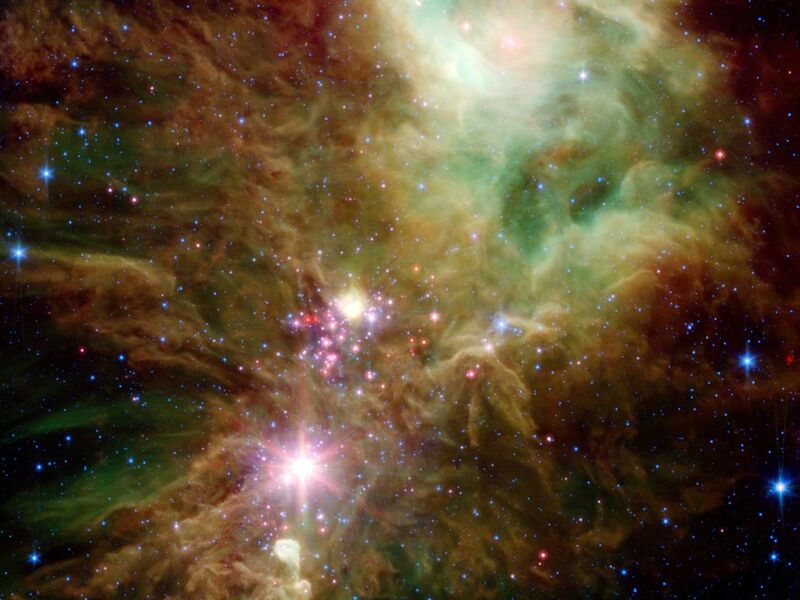 Hence, astronomers have nicknamed this the "Snowflake" cluster. 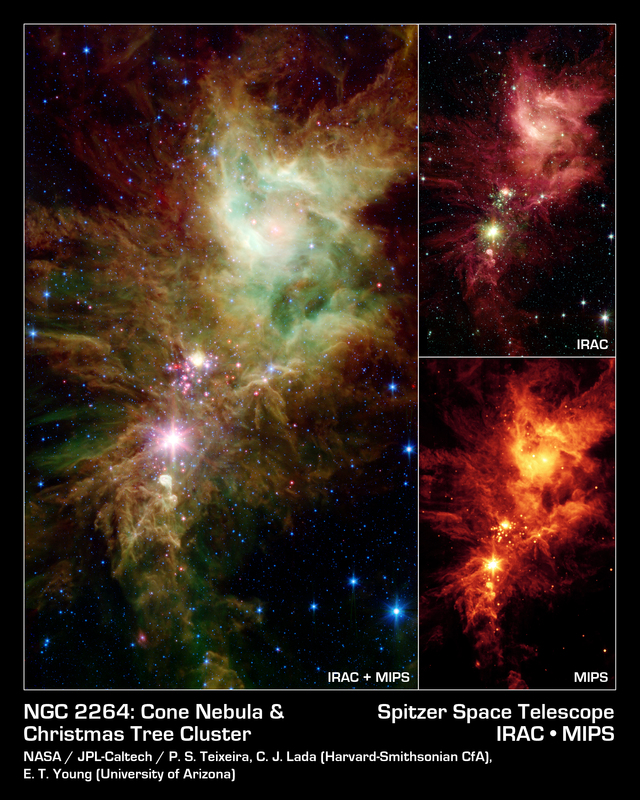 Like a dusty cosmic finger pointing up to the newborn clusters, Spitzer also illuminates the optically dark and dense Cone nebula, the tip of which can be seen towards the bottom left corner of each image. The top right (fig. 2) image from the infrared array camera show that the nebula is still actively forming stars. 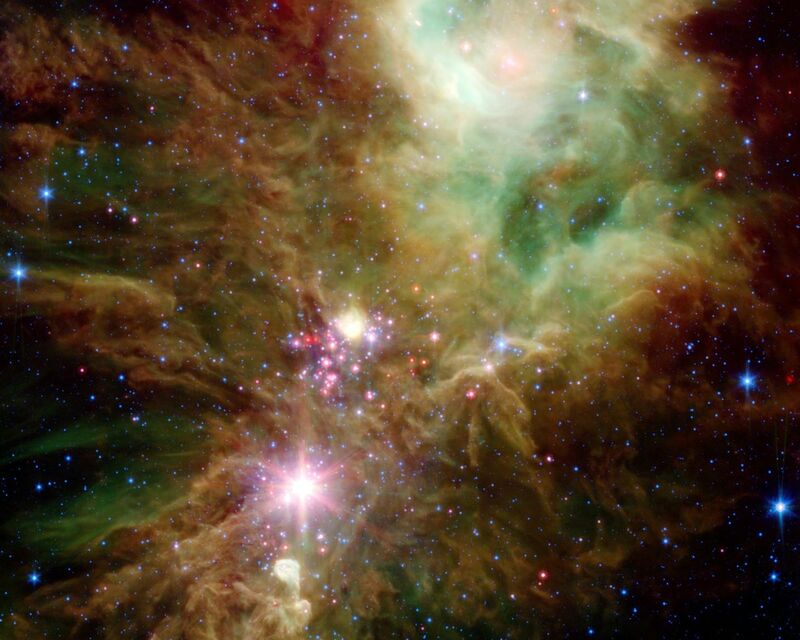 The wisps of red (represented as green in the combined image) are organic molecules mixed with dust, which has been illuminated by nearby star formation. The infrared array camera picture is a four-channel, false-color composite, showing emission from wavelengths of 3.6 microns (blue), 4.5 microns (green), 5.8 microns (orange) and 8.0 microns (red). The bottom right image (fig. 3) from the multiband imaging photometer shows the colder dust of the nebula and unwraps the youngest stellar babies from their dusty covering. This is a false-color image showing emission at 24 microns (red).